There is no information about the price of Samsung's Notebook 9 laptops, however they will be available in 13-inch and 15-inch form factors. 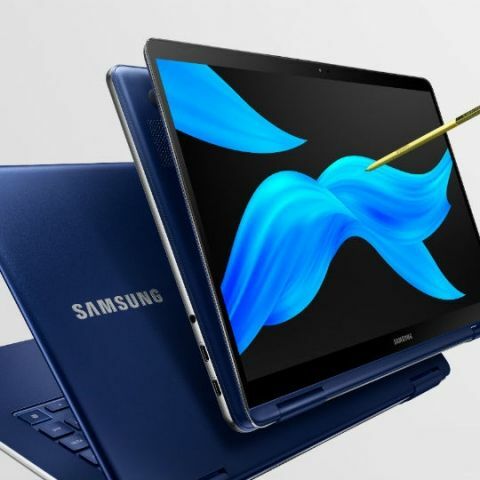 CES 2019 is less than a month away and Samsung has announced the Notebook 9 laptops that will be available in 2019 and will be showcased at the Consumer Electronics Show (CES) 2019 in Vegas. Speaking of the 2 laptops, they will come with Samsung’s S-Pen in the box. Both laptops sport a hinge which allows them to bend like a convertible. Samsung claims that both laptops can function for 15 hours on a single charge. In terms of specifications, both the variants of Samsung's Notebook 9 will sport a Full HD display powered by an Intel core i7 8th generation CPU under the hood. The RAM and storage options of the two laptops isn’t known but what is known is that the 13-inch variant will have an integrated graphics card and the 15-inch variant will have the NVIDIA GrForce MX 150 (2GB) graphics card. In terms of connectivity, both the laptops will come with two Thunderbolt 3 ports and one USB Type-C port. There will also be a headphone/mic combo port, and a microSD reader. When it comes to the S-Pen on the laptop, Samsung claims that it has reduced the latency considerably. The S-Pen also comes with three replaceable nibs helping users customize the pen tip’s to suit their work needs. When it comes to the design of the laptop, it sports a similar colour scheme found on the Galaxy Note 9 smartphone. The laptops feature an all-metal blue body. The pen on the other hand is yellow. There is a housing for the S-Pen in the front of the laptop. 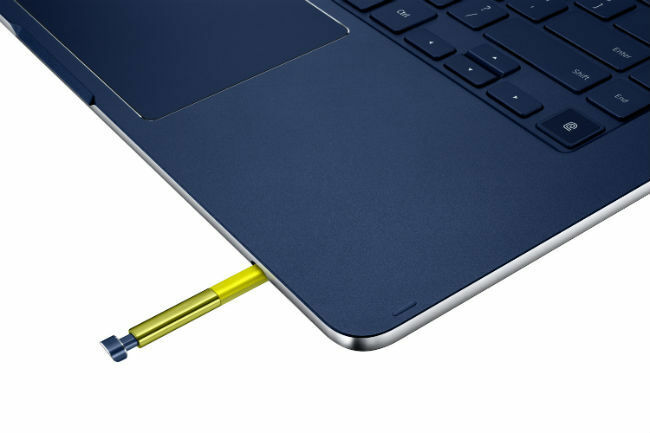 Other laptops have found ways to magnetically stick the stylus to one side to ensure it has a place on the machine. However, it is nice to see Samsung make space for the stylus in the laptop itself. The S-Pen debuted with the Samsung Galaxy Note smartphone and has continued to evolve with the launch of each subsequent iteration of the phablet. With the Note 9, the S-Pen can be used as the shutter button to click photos and as a clicker to switch slides in your presentations. You can check out our review of the Note 9 here. Touchscreen have become more popular on Windows devices in the past year and for designers, it makes sense to have a dedicated pen to help them work on the go. Samsung isn’t doing something new by bundling an S-Pen with its laptop. It is however, taking on the design world by introducing a dedicated housing and interchangeable tips with the S-Pen which may be an enticing offer for designers and artists looking for a machine on the go. How this pans out is something we will comment on when we get our hands on the device at CES 2019. On its press page, Samsung says that the Notebook 9 Pen will be available in Korea from December 14 and will expand to USA, China, Brazil, and Hong Kong starting in early 2019.